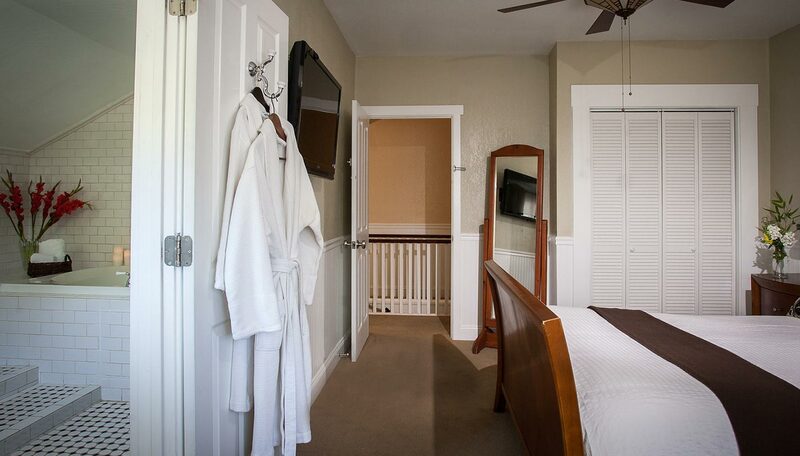 Upstairs, at the side of the house in the Craftsman Inn, offering Napa Valley accommodation, the Helena room is the perfect spot for relaxation and romance. 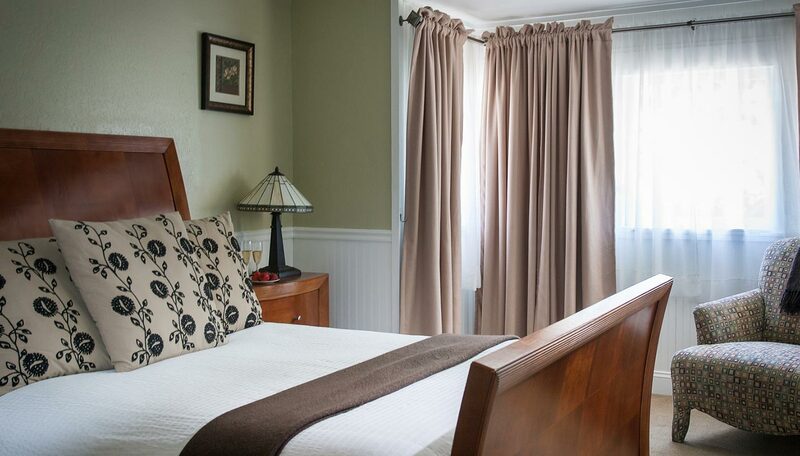 Pull back the heavy blackout drapes in the morning and bask in the soft morning sunlight as you catch up on your reading in the comfy chair or relax and enjoy a movie on your large flat screen TV. Enjoy a private massage for you and your partner as a relaxing prelude to an evening of romance. 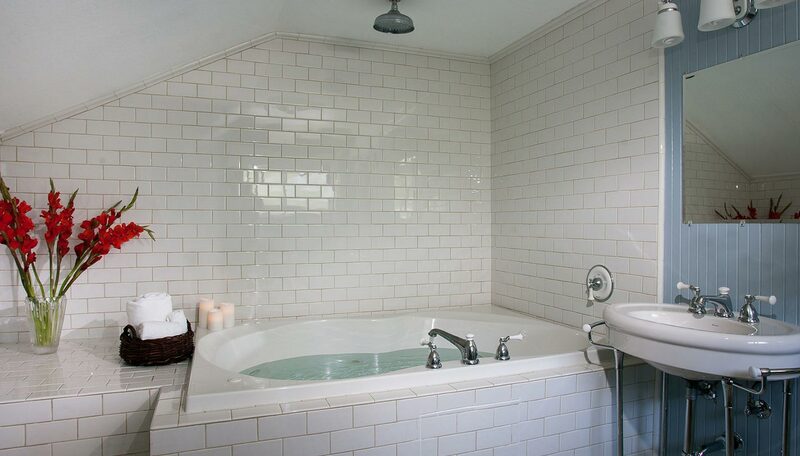 At night pour yourselves a glass of champagne, while the large two person Jacuzzi tub gently fills. 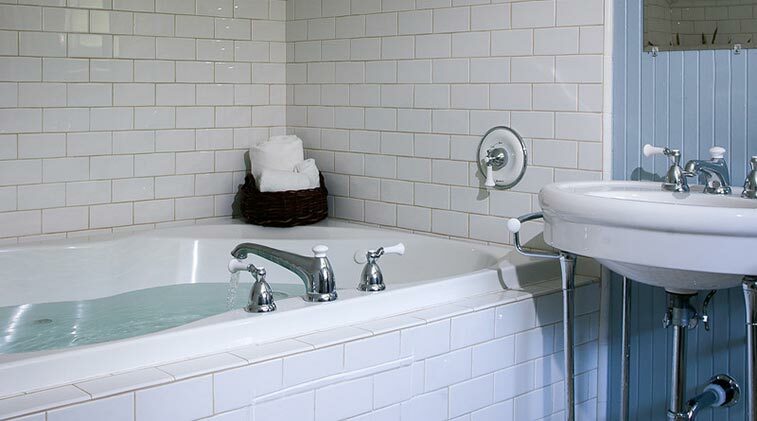 Then light the candles, slip into the bath and let the warmth and intimacy wash your cares away. "Thank you for a lovely stay!" 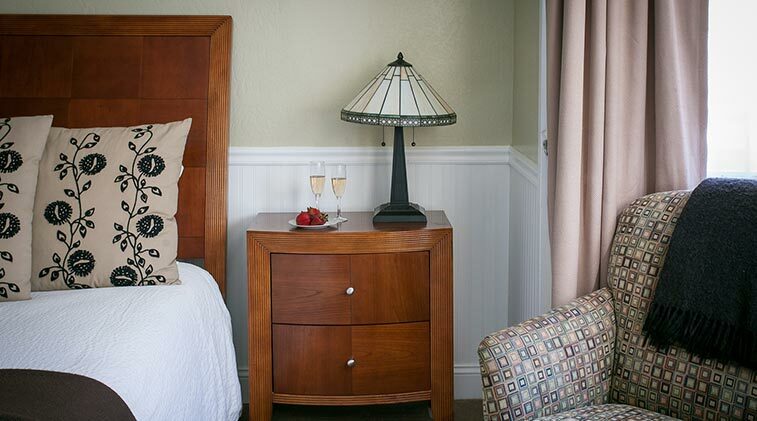 Be sure to check out our specials and packages for the ultimate Napa Valley getaway.